Bethesda Softwork’s top spokesman Pete Hines made a comment to Game Informer at QuakeCon 2018 that has put pressure on cross-console play for The Elder Scrolls: Legends. 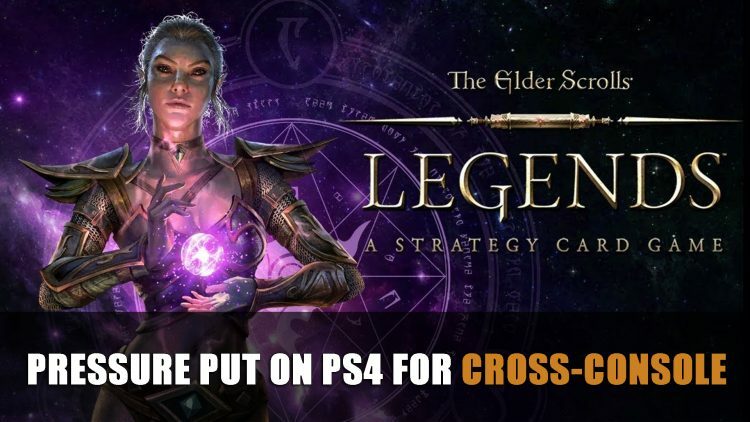 Platforms that do not get on board with with cross-play may be taken out of The Elder Scrolls: Legends launch later this year. We cannot have a game that works one way across everywhere else except for on this one thing. We can’t be talking about one version of Legends, where you take your progress with you, and another version where you stay within that ecosystem or its walled off from everything else. That is counter to what the game has been about. Further platforms will be joining Legends later this year which include Nintendo Switch, Playstation 4 and Xbox One which was announced at E3 2018. The progress from the PC and mobile versions of The Elder Scrolls: Legends carries over to other platforms via Bethesda.net account. The topic of cross-play is not a new issue as earlier this year in July, Bethesda Game Studios’ Todd Howard explained that Fallout 76 would also not be cross-platform due to Sony’s reluctance. While Fallout 76 is still launching on console as well as other platforms, there does not seem to be any movement in a new direction, although Sony has commented in the past that they were looking at the possibility in future. While Sony has not been so forth coming with cross-play, other platforms such as Xbox One and Nintendo Switch have had cross promotions with the game Minecraft. This does not seem to be the end of the cross-play incident as we’ll have to see if Sony will make their move. If you enjoyed this article be sure to check out recent news in Sony On Possible PS4 Cross-Play In Future and Fallout 76 Will Not Have Crossplay As Sony Once Again Shows Reluctance. You can also check out our The Elder Scrolls: Legends wiki for all your card game needs.